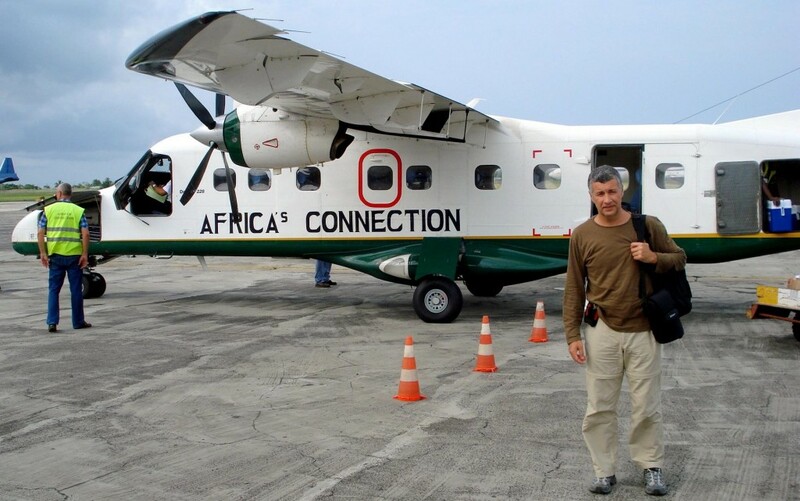 In our first sustainable tourism leadership story linked to the destination of Príncipe, Antonio Abreu tells us how this remote island in West Africa became a UNESCO Biosphere Reserve. Tourism has a close relationship with our natural and cultural worlds. Tourism is a massive global industry with both positive and negative effects from all stakeholders involved. Interaction between hosts and tourists impacts a destination’s cultural effects. Smaller destinations can be more vulnerable and difficult to protect. The UNESCO Biosphere Reserve is an effective platform for experimenting with initiatives and ideas for sustainable tourism destinations. Antonio, a few words on your professional work and responsibilities? I am a biologist holding a PhD in marine biology but during the last years have worked on environmental management, biodiversity conservation, protected areas and in particular with UNESCO Biosphere Reserves. Climate change, environmental impact and integrated coastal zone management are also among my current fields of work. I am a frequent university guest lecturer on tourism and environment. So, I would say that I am a highly versatile natural science professional with expertise in bringing scientific and technical research into international policy, management and governance. 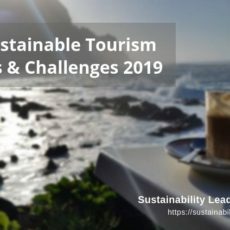 Do you remember the first time you heard about sustainability in tourism, and your initial thoughts? I have been following the relations between tourism and environment for more than 20 years, both as teacher and as manager. For example, some years ago I was coordinator of a Laboratory of Environment, Tourism and Sustainability. As a biologist I understand the close relations between tourism, the natural and social environment and the need to appreciate and communicate these complex connections, and to use this knowledge in favour of the sustainable development of touristic destinations and their local communities. Now at the end of 2015, has your view changed? No. But the industry has changed a lot. Tourism is now a massive and fast growing sector with impacts (positive and negative) that most of the times are not taken into consideration by the specific sector actors. Landscape management, water, soil, pollution, biodiversity, climate change, IT, environmental management are just a few examples of things that now are part of the tourism business, requiring a totally different capacity from the professionals in the sector. Then there is the interaction between hosts and visitors and tourists’ impact on cultural heritage and the lifestyle of the communities where tourism activities occur. This is a part of the considerations and challenges that are shaping the concept of sustainability nowadays. As Scientific Advisor for Príncipe Island Biosphere Reserve, which have been your main lessons, or insights? My current role as advisor evolved from my former responsibility as technical/scientific leader of the application of Príncipe Island to be nominated as UNESCO Biosphere Reserve (BR). I was asked to continue providing support and to help build a local team that in the mid-term will be able to manage the BR and to run projects on conservation, development and awareness-raising. 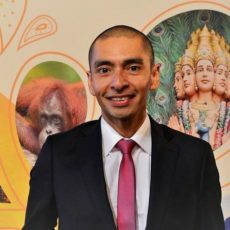 Being involved in this process allowed me to gain unique insights as I had to engage with Príncipe’s people and to learn their views about nature and people. Most rewarding from a personal perspective has been to be recognized as a son of the Island. This has a special meaning as it puts me in a position totally different from the usual advisor. I can gain a deeper understanding of the real nature of this people and how they connect with their environment. Which was the process involved for Príncipe Island to become a UNESCO Biosphere Reserve? It was a real surprise to me when I received a phone call from the Minister of Foreign Affairs of Portugal at that time, asking me to have a meeting in Lisbon with someone from Príncipe Island who wanted to propose it to be nominated by UNESCO. Then I met with His Excellency Eng. José Cassandra, the President of the Autonomous Government of Príncipe and a few months later I was preparing the application to UNESCO. I had to gather a team of experts from abroad covering all technical issues, together with a local team that helped us with the field work and initial contacts with the communities and all relevant stakeholders. Then there was a lot of technical work collecting and producing base line information and at the same time explaining and promoting the concept of Biosphere Reserve among the communities. From the very first phone call to submitting the application dossier for evaluation by UNESCO, this process took nearly 3 years of work, but with a very happy end: in July 2012 the small island of Príncipe obtained its title as UNESCO Biosphere Reserve. Obtaining the Biosphere status was a very special and emotional moment, which I had the chance to experience in Paris together with Príncipe’s delegation. Hearing President Cassandra address the plenary at UNESCO was a tremendous moment. But a few minutes later he was already thinking about what to do next, so here we are. 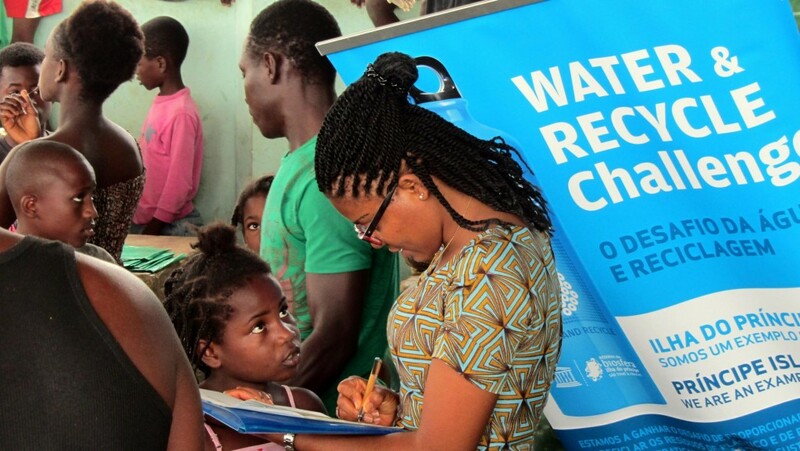 In which way was the local community of Principe involved in this initiative? Totally and all the time. During the preparation of the application, all were informed and had the chance to participate. Not only during the usual conferences and training workshops but discussing potential initiatives and proposing activities. The application file included the usual support letters and declarations from local, national and international institutions but, also, individual signatures from hundreds of Príncipe’s citizens who didn’t miss the opportunity to formally support their own Biosphere Reserve. This close connection very much reflects the awareness that Príncipe’s residents have about the Biosphere Reserve, which is also reflected in the success of initiatives such as the Water & Recycle Challenge project, aimed at removing plastic from the island, and other activities, such as the upcoming Capture Zero project for Marine Turtles, the Biosphere Run with over 300 runners, etc. What does it mean for Principe to be a UNESCO Biosphere Reserve? First of all, it means a clear awareness about the need to find ways for the sustainable development of the island and an effective understanding of the role of nature and biodiversity in particular in this process. The UNESCO Biosphere Reserve is an effective platform for experimenting initiatives and ideas demonstrating that it is possible to find solutions, to learn from others’ experiences, through the thematic and geographic networks of Biosphere Reserves. The Biosphere Reserve can be considered as the vehicle that Príncipe uses heading towards sustainability and which brings Príncipe to the global cooperation for sustainable development, not only to learn but also to teach and share. Your advice to governments of small island destinations eager to embrace sustainability? Being small means, most of the times, difficulties. If you are small and insular, then we need to add distance, lack of critical mass, vulnerability, and many other conditions that can only be addressed through sustainability, efficiency and not following the usual path. In such situations, sustainable development becomes a decisive tool for ensuring that decision-makers take into account tourism impacts and benefits from a multi-sector perspective, and not simply by way of cost-benefit analysis. 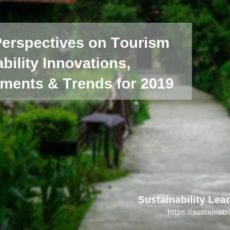 Tourism investments should be tested and shaped under a sustainability vision, as tourism leads to several and significant impacts which most of the times are not taken into consideration sufficiently at the time of decision-making. For instance, the use of water, landscape, waste production, energy, impacts on biodiversity should be considered together with the usual indicators such as employment and income. But even these classic topics should also be assessed differently. For instance, number of jobs, tells nothing about the quality of these jobs, if they are just and fair. How to measure the success of sustainable tourism at destination level? There are many potential indicators but, as we are just starting this new Post Rio+20 period, I would suggest that we should build a system based on the recently approved Sustainable Development Goals. They are universal, comparable, easy to understand and motivate all social actors to work together under a common set of goals. Visit unesco.org for info on the UNESCO Biosphere Reserves. Connect with Antonio Abreu on Twitter or LinkedIn. 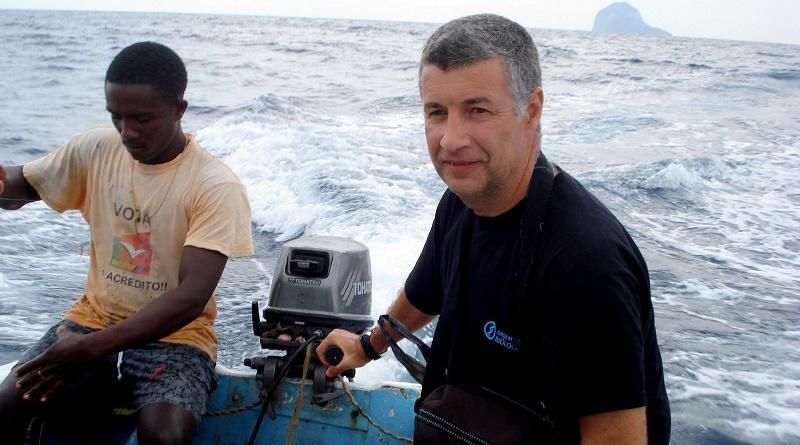 Enjoyed our interview with Antonio Abreu, UNESCO Biosphere Reserve Scientific Advisor for Príncipe Island? Share and spread the word!